Have you heard about the new holiday-inspired menu from Denny's? It's called: “Flavors of the Season.” The festive new menu includes a mouthwatering choice of sweet and savory Pancake dishes including the New Pumpkin Cream Pancake Breakfast, the New White Chocolate Raspberry Pancake Breakfast and New Cranberry Orange Pancake Breakfast, each served with two eggs, hash browns and a choice of two strips of bacon or sausage links. The diner also offers its traditional family favorite, the Turkey & Dressing Dinner, featuring tender carved turkey breast, savory stuffing, turkey gravy and cranberry sauce. We had that tonight for supper. We did the ordering online today from Denny's on Demand. Since we're out in the desert in our RV, and it's been so hot, we didn't want to go in for a sit down meal today, and leave Jakey in RV. So, we ordered online and picked up at the restaurant in town. So simple, and so quick! And to your meal you can even add a sweet treat to enjoy. Try the deliciously sweet desserts such as Cinnamon Sugar Pancake Puppies® served with cream cheese icing, or the New White Chocolate Raspberry Milk Shake. Denny’s also offers its classic Pumpkin and Pecan pies on the menu and are available by the slice or whole throughout the holiday season. Great food, generous servings, and served by a great staff at the Lake Havasu City, Az. location today! And for more information about Denny’s No Kid Hungry fundraising efforts, please visit www.dennysnokidhungry.com. 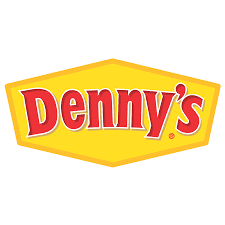 Guests can order online or find out more about Denny’s seasonal menu, available all day, every day through Jan. 3, 2018, by visiting www.dennys.com.